The 2016 Tesla Model X is set to have its grand debut in California tonight. But ahead of the company’s “official” announcement, we’re getting an official range rating from the Environmental Protection Agency. Clocking in at 257 miles, the Model X’s electric range is just shy of the original Model S’s. If you’re looking for something roughly comparable (well, as comparable as you can get to an all-electric SUV), the Porsche Cayenne Turbo S is rated for a range of 449 miles. But that goes from zero to 60 MPH in a positively glacial 3.8 seconds, and who wants that? 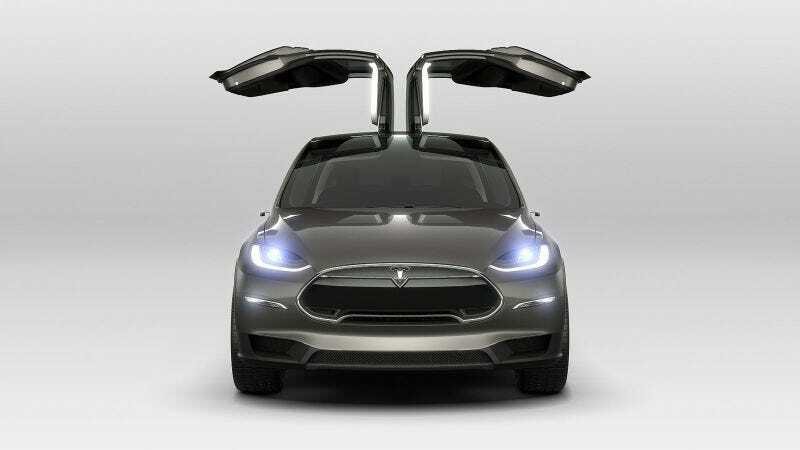 Also, the Model X has those sweet doors. Porsche, get some sweet doors.